Telluronevskite is an extremely rare selenide of Bismuth and Tellurium and its type locality is the Vihorlat Mountains in the Slovak Republic. This specimen comes from there, not so aesthetic but extremely rich (for the species). We will send to the customer a copy of the analysis where Telluronevskite also appears intergrown with the still more rare species Ingodite and the 'common' mineral Nevskite. 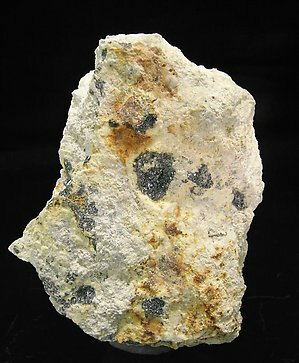 The description of Telluronevskite was published in 2001.